UPDATE: As of September 2018, I have moved to IMD, where I teach strategy. Find out more here. Should I buy that house? Why isn’t our marketing strategy more successful? How can I finish my dissertation on time? We all face complex problems. Yet most of us haven’t formally trained to solve these. I research transferrable tools and skills that, in addition to specialized training, can help people become better problem solvers; that is, I look at the strategic side of problem solving. If you look at the skill set that employers seek in new hires, many take expertise in a knowledge area as a given. What differentiates candidates is their additional competencies: a report by the Council of Graduate Schools summarizes the skills that employers look for: problem solving; work ethic; oral, written and visual communication; social responsibility; and management skills. So, if you’re a student, the take away is that you should actively develop a skill set matching what employers look and become T-shaped. That is, if you are concentrating exclusively on your classes and your research project, you are taking a big risk. 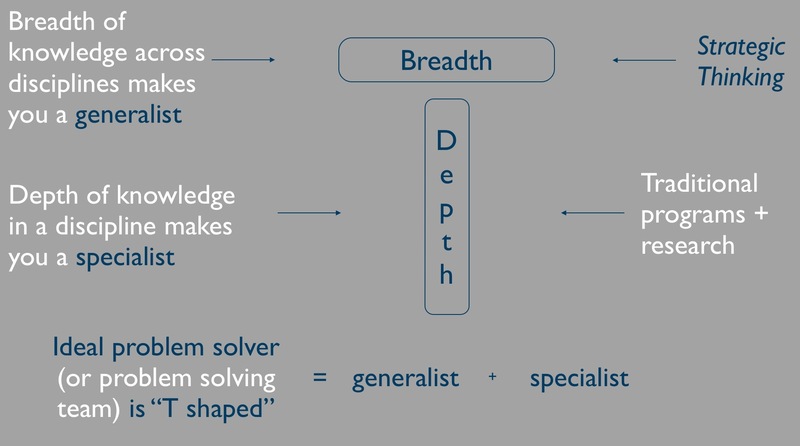 Effective problem solvers are T-shaped, having both depth and breadth of knowledge. Acquiring strategic thinking skills is challenging. If you are a Rice student, you can take my course on strategic thinking and/or take advantage of a number of resources can help you. My name is Arnaud Chevallier, I’m an associate vice provost at Rice, where I work on academic affairs and strategic partnerships. I also study strategic thinking applied to complex problem solving, and I teach in the George R. Brown School of Engineering and the Center for Civic Leadership. 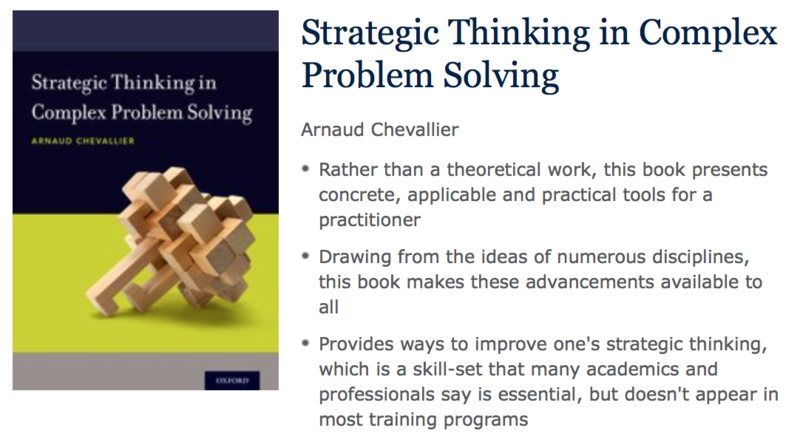 My book, Strategic Thinking in Complex Problem Solving, is available.